Sure, we’ve all had our bagels toasted before, but in L.A., it’s not often that we’re able to perfectly time ordering and getting a warm, freshly baked one right out of the oven. That’s where Pop’s Bagels comes in. “I had someone tell me the other day that the bagel was too hot, and I didn’t know what to say. ‘I apologize for it being too fresh?’” owner Zach Liporace says with a laugh. 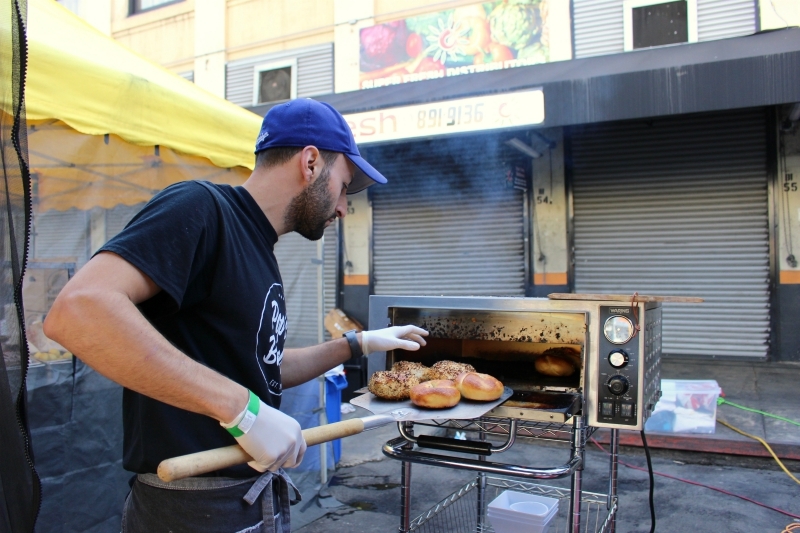 This 31-year-old bagel whisperer, who recently started a residency at Smorgasburg in DTLA, bakes his pre-boiled bagels in an electric pizza oven onsite at events. The result is a golden-crisp, bubbly crust with a warm and chewy center that’s more airy than dense. His doughy discs, which he makes fresh for each of his pop-ups and catering gigs, come in just three choices: plain, everything, and cinnamon raisin. 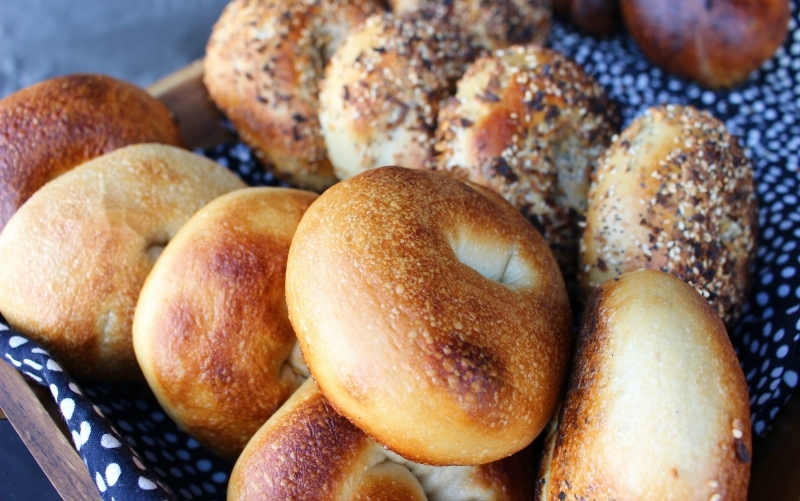 It takes Liporace about ten minutes to bake a batch of eight to ten bagels. These carb wheels aren’t exactly baked to order, but he tries to time it so each customer usually gets a hot one. And then there’s the cream cheese. Liporace’s tangy buttermilk schmear is homemade and has a silky texture akin to softened butter. It’s sometimes mixed with scallions, or paired with its right-hand man, Nova lox. The process of making a batch from scratch takes this chef 24 hours, though most of that time is spent incubating the cheese. For large events like Smorgasburg, Liporace will go through 20 pounds of it on 200 bagels. He also makes his own butter, deli salads, and babka, and sometimes slings pizza bagels. 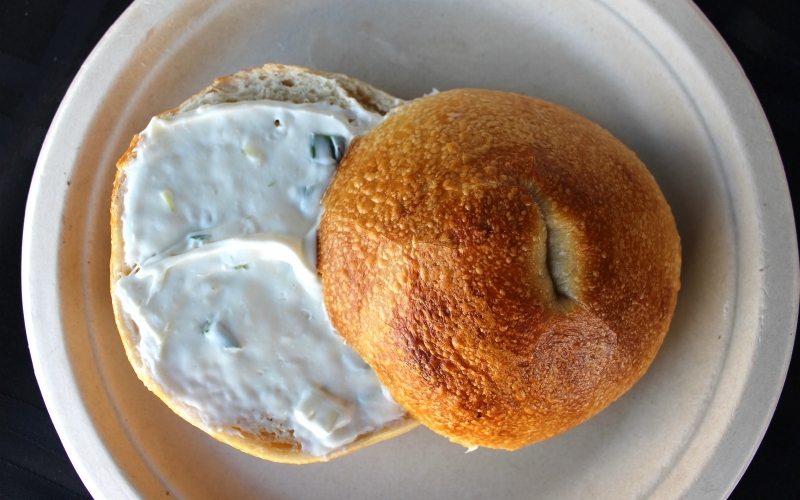 This business is mostly a one-man operation, and Liporace personally hand-rolls each bagel. His dough consists of high-gluten flour, organic yeast and malt syrup, and filtered water. Each strip is twisted into a beautiful swirl, and punctuated with more of a dimple than a hole. He says he wants to “tweak the bagel industry” in L.A. with his freshly baked goods. Liporace left his job in TV development at REVOLT TV last September to fully focus on Pop’s Bagels, which he named after his grandfather, who passed away in 2017. “The business brought me out of this funk after his death and I think it really helped me move on in a way,” he says. 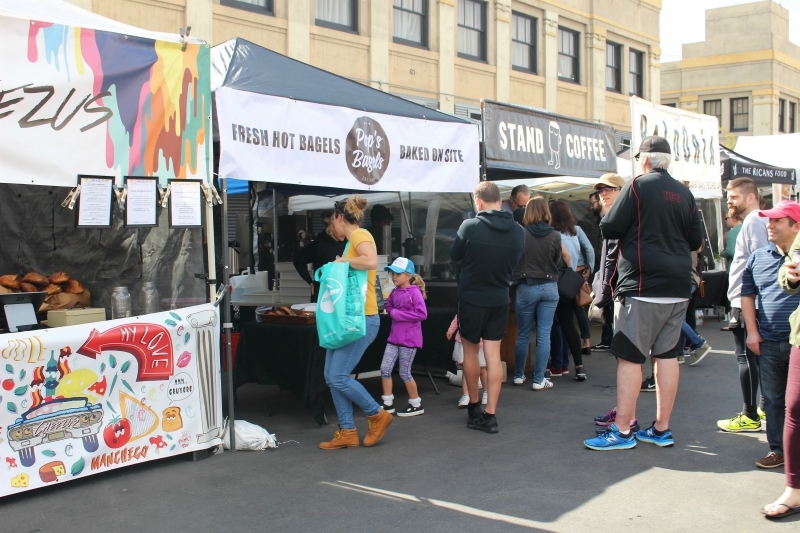 Liporace is planning Pop’s Bagels’ next move, a sit-down bagel diner inside of a 30-foot Airstream at Culver City’s PLATFORM. If all goes well, he’s hoping to get it up and running by early fall, but says he’s in no rush. Until then, you can find him at Smorgasburg on Sundays until April 15, and back again by Mother’s Day for an indefinite amount of time.